We drove down to St. Augustine to do a few repairs on INTERLUDE (11 hours) and to visit with our buds Dennis and Bettye/MISS BETTYE. We stayed a few extra days and Tom got some major work accomplished (I had a stressful time playing with Bettye!) Dennis has been checking on INTERLUDE every couple of weeks. It certainly makes it easier for us knowing there is someone knowledgeable looking in on her. Thanks so much Dennis! It also is wonderful to have a place to stay and visit when we make our trips down for repairs. I think we have passed the “being company” stage in our friendship! 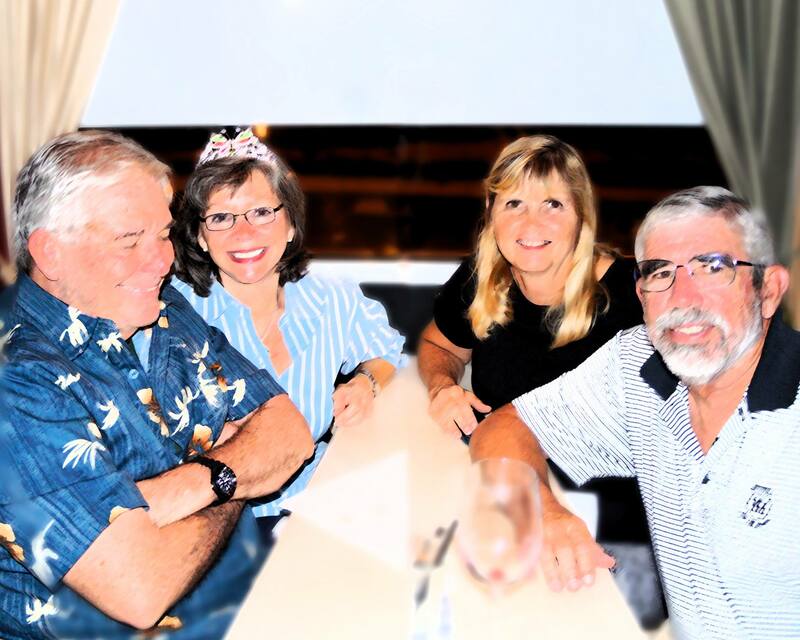 Our last day was Bettye’s Birthday and we had a lovely dinner at a local steak house. Yum! Happy Birthday Bettye! 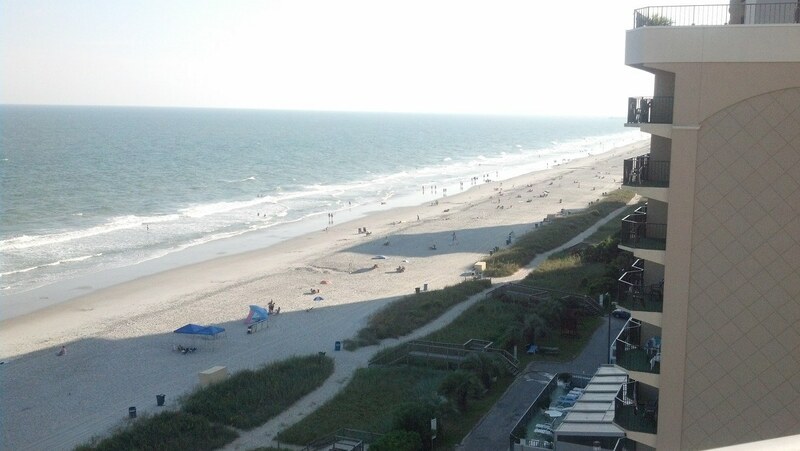 We decided to break up the way home by stopping in Myrtle Beach for the night. The hotel was nice, the beach was beautiful BUT the loud singing on the beach until 3:30 am was a little much since we had to get up early and drive the last leg home. I think I am showing my age here! ha! Myrtle Beach, SC – Breakers North Hotel. Stop for R&R and a walk on the beach. We are home now…moving a little slow today! 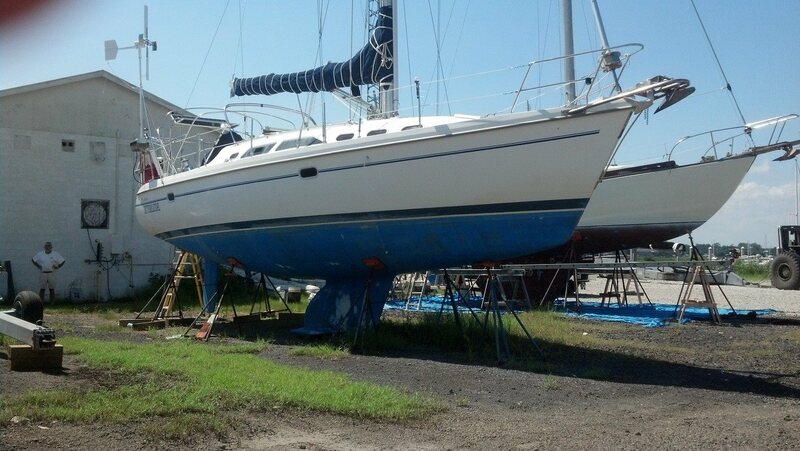 Our boat buds Fred and Kathy/MAKAI left York River Yacht Haven, Gloucester Point, VA today (near our house.) They are heading to DC for a few days and then on to get their boat hauled out for repairs. We will catch up with them at the Annapolis Boat Show in October. Hopefully we will be able to hang out with them for a while in the Bahamas when they catch up with us. It’s always great to see them. We first met them in the Abacos in early 2007. Thanks for stopping by! Hope all is well with you and yours!